Maximize Your Dental Insurance Benefits With a Dentist In Coral Springs! It’s a safe bet to say that healthcare costs are a struggle for just about everyone these days. But since your oral health is so important to your overall quality of life, you can’t afford to neglect it (no pun intended!) But by scheduling with a dentist in Coral Springs before the year is over and using a few tips and tricks, you can get the most out of your insurance and make dental care affordable for everyone in the family. Keep reading below to find out which procedures are usually covered and get tips on how to take advantage of your benefits! Cleanings, X-Rays and Exams – Since checkups are preventative, they’re usually covered at 100%. Most plans cover 2 checkups a year, but more frequent visits may be covered during pregnancy or for patients who have gum disease, diabetes or cancer. Also, your plan might cover professional fluoride treatments, which are a great way to prevent cavities. Deep Cleanings – Deep cleanings are often recommended for patients with gum disease and are usually covered at 60%-80%. Fillings and Root Canals – Fillings and root canals are typically covered at 60%-80%. How Can You Avoid Missing Out On Your Insurance Benefits? If you feel like every year slips past before you’ve scheduled your dental work, you’re not alone. 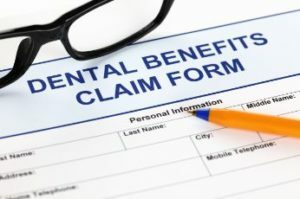 The American Dental Association found that the average annual insurance benefit is $1,250 per person, but that most people only use around $323. That means many people are losing over $900 each year. To avoid this situation, start by checking when your plan year starts and ends. Most plans start January 1st and end December 31st, but in some cases, they operate on a fiscal calendar year. Also, try to schedule any appointments as soon as possible because dental schedules often fill up quickly. In particular, be sure to schedule your checkup because they’re usually covered at 100% and won’t cost you anything. If you need more involved dental work, you can ask a dentist in Coral Springs to file a preauthorization beforehand, which is a formal estimate of your total cost. Finally, remember that the annual maximum for most people is between $1,000-$3,000. It just makes financial sense to use this money to achieve great oral health and a beautiful smile – instead of passing it by! Dr. Walter Kulick is a general, cosmetic and restorative dentist in Coral Springs who knows that dental insurance can be difficult for patients to navigate. That’s why he and his staff are always available to help their patients understand and use their benefits to their advantage. If you have any additional questions, he can be reached via his website or at (954) 341-0500. Comments Off on Maximize Your Dental Insurance Benefits With a Dentist In Coral Springs!